When I visited Manchester, England, what surprised me most was how quaint it was. The city’s dichotomy of historic-industrial chic and creative energy buzzes through its streets to create a palpable sense of hope and community. But above all else, Manchester was welcoming. Though the city is smaller than you might think — you can walk just about anywhere in 15 minutes — it can still be difficult to fit everything into a single trip. Worry not; I’ve created a list of the best of the best in Manchester. 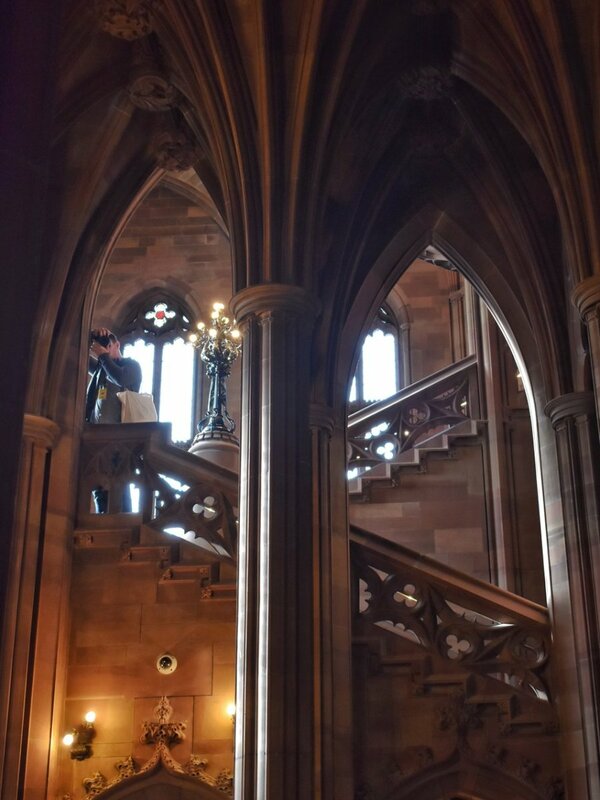 Right in the heart of the city you’ll find the John Rylands Library, a must for any bibliophile or “Harry Potter” enthusiast. The late-Victorian Neo-Gothic library is stunning, an architectural wonder that evokes a similar atmosphere to the Hogwarts Library. The Reading Room features soaring arches, towering stained-glass windows, quiet reading alcoves, soft glowing lamps, and plenty of tomes to examine — plus admission is free and there are rotating exhibits created in part by the museum staff. It’s likely you’ll find yourself coming back for a return visit not long after the first. Just a stone’s throw from the John Rylands is Barton Arcade, an indoor Victorian shopping arcade offering quaint scenes at every turn. 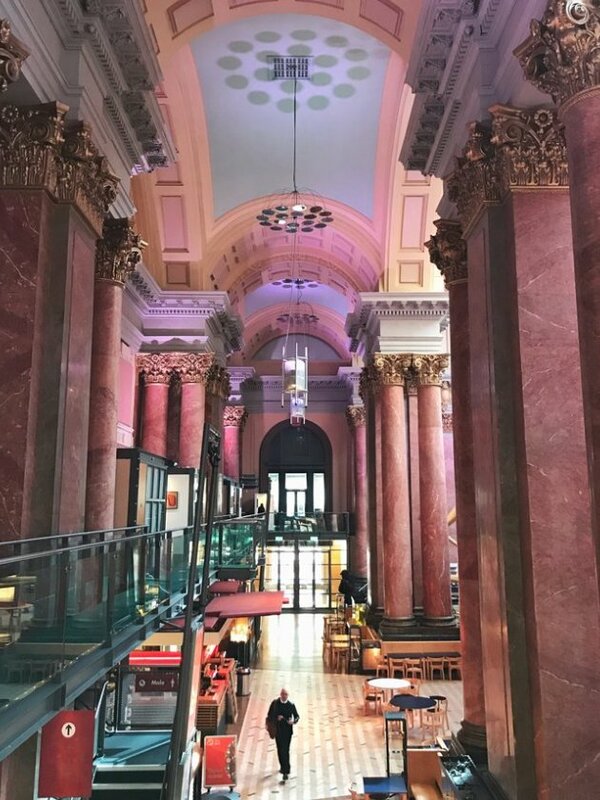 The relatively small building has been a facet of Manchester’s city center since 1871, and it features patterned tile flooring, glass domes, and cast-iron details. The adorable barber shop that takes up residence in one of the retail spaces is just the start. This vibrant spot is a creative free-for-all in Manchester’s Northern Quarter. The Victorian Craft and Design Centre features two floors of contemporary art studios with artists who design jewelry, work with pewter, mold ceramic masterpieces, and fashion delicate paper creations, among other endeavors. The resident artists often hold workshops to teach their crafts to willing students, so why not sign up and get creative? I participated in a pewter workshop and was fascinated to learn about how pewter products are made — and just how heavy liquid pewter can be! Manchester’s Northern Quarter is both modern and rustic, and embodies the city itself by combining industrial vibes with creative energy. There’s street art everywhere, cute cafés and shops on every corner, and plenty to photograph and discover. Spend an enjoyable afternoon (or morning, if you’re an early bird) wandering the area with your camera. In this former commodities exchange building, a theatre company has blossomed. Seeing a show at the Royal Exchange Theater is unlike any other theater experience. Using a circular theater pod built in the middle of the Grand Central Hall, productions are all-encompassing and immersive because of the facility’s unique shape. When I visited, the production of “Frankenstein” featured actual rain, various objects dropped from the ceiling, and a surround-sound auditory experience that brought the monstrous story to life. Whether you prefer the theater, the cinema, the concert, or the exhibition, HOME has something for you. The folks at HOME have made it their mission to foster independent, contemporary artwork, be that in the form of short films, immersive exhibits, plays, or musical performances. “HOME is for curiosity seekers, for lovers of the dramatic, the digital, and the deeply engaging, for radicals and reciprocators.” The center’s motto represents the atmosphere of Manchester as a whole, so what better way to spend an evening than by seeing what’s on at the city’s most welcoming organization? If you’re up for a food-court-style meal, head to the Mackie Mayor. Known formerly as the Swan Street Building, this new-kid-on-the-block spot is taking the city by storm. After a huge renovation, the restaurant has room for upwards of 500 people, features a variety of food vendors, and is the go-to place to meet for a bite to eat after work — or after a day of exploring. Regardless of when you stop by, a visit to Albert’s Schloss is a must. This Bavarian-themed establishment could be a bier garten, live music venue, quaint café, or bohemian cook haus depending on when you walk through the doors. Either way, you’ll want to stop by for at least a drink or a cup of coffee while in Manchester (those visiting the John Rylands may want to drop in after spending time in the library). If you happen to be in Manchester on a Wednesday afternoon in between the months of April and October, head to the Victoria Baths for a guided tour. This once-luxurious bath house hasn’t been in working order since 1993, but members of the Victoria Baths Trust are working hard to get the facility up-and-running again to its once watery glory. In the meantime, it’s possible to take a 2 p.m. tour on Wednesdays, attend one of the many events hosted in the Baths building, and even book the facility for your next photoshoot.